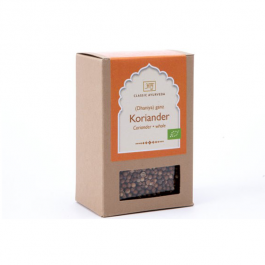 Coriander seeds are used commonly in Indian and Mexican cooking. They can be used whole, but are normally used ground. Coriander is a tridoshic spice highly appreciated in ayurveda. It is a cooling spice and contributes the sweet and astringent tastes. 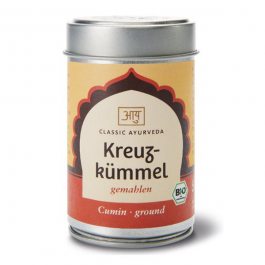 Ayurvedic texts suggest that it is good for digestion, whets the appetite, supports a healthy response to allergens and also helps purify the blood. 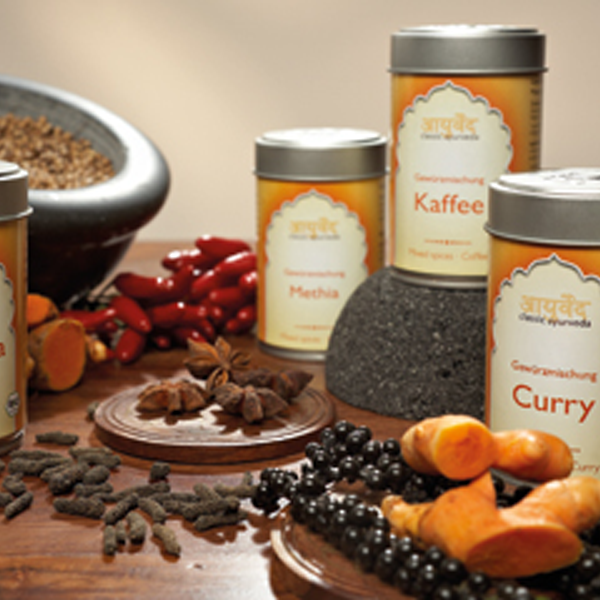 It can be combined with other ayurvedic herbs such as ground turmeric, cumin, paprika, cayenne and fennel. It has a sharp aroma and smells and tastes best freshly ground in a coffee or spice mill. Ground coriander can be added to dhals and vegetables as they are cooking. It can also be sautéed in ghee and added to cooked vegetables or lentils. Coriander, also known as cilantro, or Chinese parsley is an annual herb in the family Apiaceae. Coriander is native to regions spanning from southern Europe and northern Africa to southwestern Asia. It is a soft plant growing to 50 cm tall. Coriander has a bitter, hot taste (rasa) and balances all three doshas, particularly Pitta. It promotes the Agnis (digestive fires), without increasing Pitta. 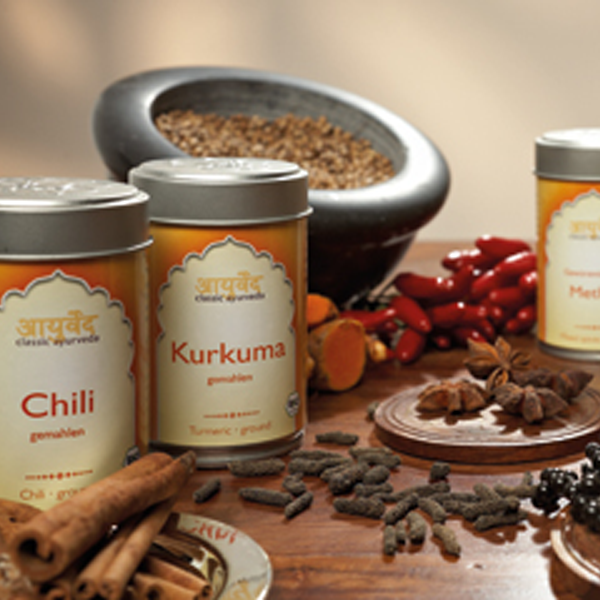 Goes well with curry dishes, chutneys, dals and bread. 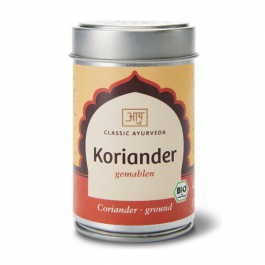 Corander is a component of many spice mixtures such as Curry or Garam Masala.